Domaines Ott* By Ott Wins Gold! We are delighted to announce that the Domaines Ott* By. 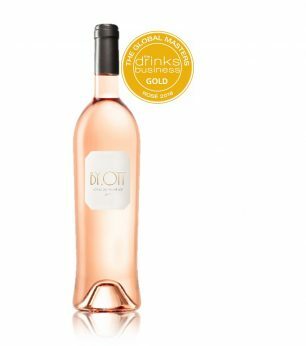 Ott Rosé 2017 has been awarded a Gold Medal in the Drinks Business Rosé Global Masters! The Domaines Ott* By. Ott Rosé became part of the Domaines Ott* range in 2015 and is blended and bottled in the Domaines’ state of the art Château de Selle cellar. This truly Provencal wine has a pale pink hue with crystalline highlights and a fruity nose with notes of apricot and grapefruit. Crunchy on the palate with a lovely structure supported by fruity and mineral notes, followed by some spicy notes on the finish.